RUSH: We go to Bakersfield, California. This is Kim, and it’s great to have you. I’m glad you called. CALLER: Hey. Greetings from Bakersfield, Rush! It’s a pleasure to speak with you. CALLER: I was driving down the road and almost ran off into an almond orchard this morning when I heard Cynthia Nixon wants African-Americans to run the pot industry. So my question is: Is this because in her opinion African-American culture is like a drug culture and that they would be a natural fit and be experts in this field? And isn’t this racist, and isn’t she enlightened? RUSH: Well, let me try to answer some of your clearly pointed questions by reading to you from the New York Daily News story. 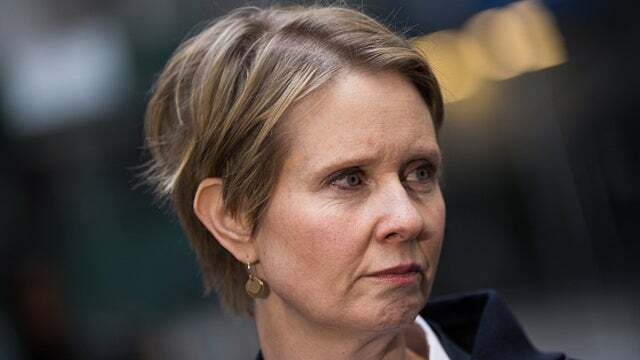 Now, the headline of the story: “Cynthia Nixon Ignites Outrage for Saying Marijuana Could Be ‘Form of Reparations’ in Black Neighborhoods — Cynthia Nixon took heat Monday from black leaders over her comments that creating a legalized pot industry in New York could serve as a form of reparations in black communities. CALLER: Oh… (laughing) But isn’t that racist? RUSH: Well, can a liberal be racist? RUSH: I mean, that’s what we’re talking about here. Can a progressive be any of these horrible things they tell everybody they are? CALLER: No, because they mean it a different way than what they really mean. RUSH: Now, the Reverend Sharpton had a reaction to it. “‘I’m for legalizing marijuana and I like Cynthia Nixon but putting pot shops in our communities is not reparations,’ the Rev. Al Sharpton tweeted. ‘Health care, education ! !’ [sic] Manhattan Democratic Party Chairman Keith Wright, a former long-time state assemblyman from Harlem, said Nixon’s comment ‘is ill-informed, lacks understanding of the greatest crime in history, and should cease and desist. '” What do you think he means, “the greatest crime in history”? What is that? CALLER: Does she want to put them back on the farm like in slavery? RUSH: No, she wants them to be the masters of the farm, is the point here. CALLER: And maybe the people of white privilege could be in the field? RUSH: (chuckles) Well, it’s up to them who they hire. RUSH: But I think before whites got hired she’d be hiring illegal immigrants to run these pot farms. The interesting thing here — or not interesting. The thing to note here is how the liberal mind works and how oriented around prejudice it is. In the liberal-progressive mind, when it comes to African-Americans, I’m telling you, they don’t see much. When they look at African-Americans… This has been the thing that has always struck me. I think proud progressives look at African-Americans with great sympathy. I think they feel sorry for them, and I think they need… In the liberal mind, African-Americans need advantages. They need state-sponsored advantages because they aren’t capable on their own of succeeding independently. I think that’s how they look. Now, they tell everybody the reason for that is cultural right-wing racism. But that’s not the reason for it. These people have the lowest expectations you can have of African-Americans. Liberal progressives — which today is the modern equivalent of the plantation owner, if you ask me. Look at what’s happening to Kanye West. They’re the ones that have low expectations of African-Americans. They are the ones that look at them with eternal sympathy. And just note: Whenever an African-American succeeds as an individual outside the boundaries of acceptable progressivism, look what is done to them. The left seeks them out and tries to ruin them and tries to destroy them, their reputations, the route they take and took to become successes. They’re called Uncle Toms, any number of things. Real, independent, legitimate African-American success is simply not tolerated in today’s Democrat Party.